Includes: private transportation with English speaking driver/guide, taxes, parking, toll. 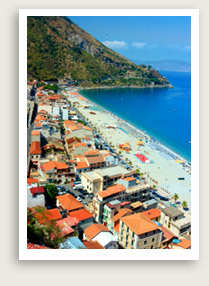 Departure Points of Private Tours: Taormina, Messina, Catania. Other Departure Points Available. 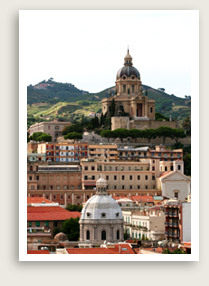 Let Well Arranged Travel take you on a private guided tour of Sicily to Messina and Tindari (Tyndaris). Messina has suffered both devastating earthquakes and World War II bombings. Yet it not only still survives, but boasts some of the most beautiful and important architecture and museums. The Museo Regionale houses treasures by such artistic greats as Antonello da Messina and Caravaggio. We’ll also see Santissima Annunziata dei Catalani in Piazza Catalani, a stellar example of the richly decorated and eclectic 12th century Norman architecture. Outside the beautiful Fontana d’Orione is the finest fountain of its kind from 16th-century Sicily, while the fountain of Nettuno (Neptune), dating from the same period, celebrates Messina’s foundation as a major world port. Our next destination is Tindaris, a Bronze Age settlement from about 1500 BC. The most important Greek city in this vicinity, Tindaris suffered from a landslide at the end of the First Century AD and an earthquake in 365 AD. Most of what the visitor sees today was constructed during the Roman period.